First of all, we’d like to take this opportunity to welcome you to our new blog, on our new website, for our new business - after what feels like years of blood, sweat and tears, BDM Coms is finally here!  As part of the larger BDM Group of companies and building on the successes of our established sister-company BDM Voice, BDM Coms has been launched to provide the UK with the fresh, vibrant and exciting telecoms option it deserves. In technical terms, we’re a cloud-based communications and service provider that specialises in high-speed connectivity, IP telephony and unified communications. In real terms, we’re a business that helps you to reduce your operating costs, improve overall operational efficiencies and harness the incredible power of cloud computing through clever communications technology. So why is this important you ask? Well, over the past few years discussion has rumbled on to as how the UK’s communications infrastructure will progress and shape the way in which we do business for decades to come. At present (and for a very long time), ‘traditional’ ISDN and PSTN networks have occupied the bulk of the country’s communications structure. However, in recent years we’ve begun to see the transition from these dated networks to the next generation of high-tech IP networks. This transitional period picked up significant speed a few months ago with BT’s official announcement that “by 2025, all their customers will be using IP Voice”. What does this mean? Well in essence, it’s signalled the end of the road for ISDN and PSTN networks (and subsequently the traditional telephone systems that run upon them). In simple terms this means that by 2025 we’ll all be making and receiving telephone calls via the internet, or ‘the cloud’. Whilst this might sound daunting, don’t let it be. These changes signal the start of a cloud-based revolution that will deliver huge cost savings and advanced communications technologies that were previously unheard of. To give you an idea of what this might look like for your business, you’ll make your financial director happy with average cost savings of 40%! What’s more, the cloud will allow your organisation to take advantage of convergence technology to bring mobile and fixed networks into one place so you and your staff can be reached anywhere and anytime. The potential productivity gains are immense. Here at BDM Coms we cannot wait to start helping businesses to make the logical decision to join the cloud-based coms revolution. If you’d like to start saving money today and facilitate the operational efficiencies that will allow your business to thrive for many years to come, then we’d love to hear from you.